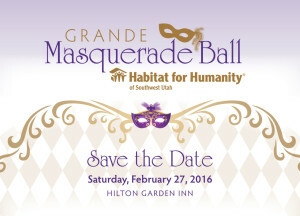 If you think Habitat for Humanity of Southwest Utah is turning up all over town these days, you’re not wrong! In the last few months, representatives of the local affiliate of the international ecumenical housing ministry have been here, there and everywhere in our efforts to raise awareness of the need for safe, affordable low-income housing here in Washington County. On the first Friday of the month from June until November we were in the George Jr. Village of George Streetfest playing games with kids, gathering names and e-mail addresses and sharing information about Habitat with their parents. Also in September, our Executive Director and Community Outreach and Development Director could be seen on the floor in the middle of the Red Cliffs Mall counting pennies, nickels and dimes in the Coin Canister which had been donated by anonymous shoppers. Later in the month, Habitat staff and board members were in charge of the Sawdust Scramble at Dixie Round-up Days and as a non-profit participant in the Sun River Plaza Open House. In October, besides George Streetfest, we were at Live United Live with the United Way benefit concert. We had a great time and even some of our Board members helped that day. 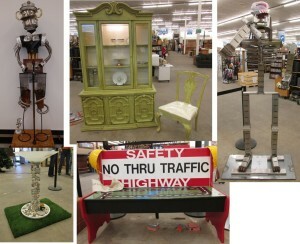 We kicked off our ReStore Flip Design Challenge in October, so watch for more on that. We had our Color Me Rad 5k and had such a great time and want to thank all those that participated, either running or volunteering. It is always a colorful and fun time! We had a booth at the Spookytown Fair with the Chamber of Commerce and the Washington County School District, whewww…the month of October was busy! And, we’ll continue to be at the George Streetfest on the 1st Friday of every month as our schedule will permit sharing information about our local ecumenical housing ministry and collecting names of volunteers for upcoming Habitat home builds as well as repair or renovation projects. Please stop by our booth – wherever we are involved in these community events – and introduce yourself as a “friend of Habitat for Humanity of Southwest Utah” – then let us tell you more about what we have planned in our efforts to address the needs for affordable housing in our community. Habitat for Humanity of Southwest Utah’s fall fundraiser has a pretty simple premise, loosely based on the popular TV reality show “Flea Market Flip.” In preparation for an auction of their completed projects on Thursday, December 10, 2015, five local high-profile contestants shop at the Habitat for Humanity of Southwest Utah’s ReStore in search of someone else’s castoff to repurpose and sell for profit. Richard “Biff” Williams, President of Dixie State University; Bonnie Pendleton, known affectionately around town as the “Plant Lady;” Rhett Long from The Spectrum; Chris, LaRae and Colleen from Canyon Media’s Planet 94.1; and John Ames from ReMax Realty have accepted the challenge of participating in the “first ever” Habitat for Humanity ReStore Flip Design Challenge. In mid-September, each participant will shop for their favorite recyclable treasure, then have one month to creatively flip their purchase for fun and cash – with the help of four do-it-yourself team members recruited from among their friends, co-workers or family! Here’s where the community can help make the goal of raising funds for Habitat for Humanity of Southwest Utah a reality and name two winners: Winner One will be selected based on the number of “likes” for their project posted on Habitat’s Facebook page. Habitat for Humanity Of Southwest Utah ReStore Winner Two will be the flipper who brings in the most money from the sale of their project. Come to the ReStore at 835 S. Bluff Street on Thursday, December 10 to cheer on your favorite flipper, but more importantly, to bid on your favorite repurchased project to support Habitat’s mission to build safe, affordable homes for qualified low-income families in Washington County. For more information on this imaginative fall fundraiser, call Habitat for Humanity at Southwest Utah at 435-674-7669. The long awaited Grande Masquerade Ball is coming back! Save the date of February 27, 2016 from 6:00 to 10:00 pm. 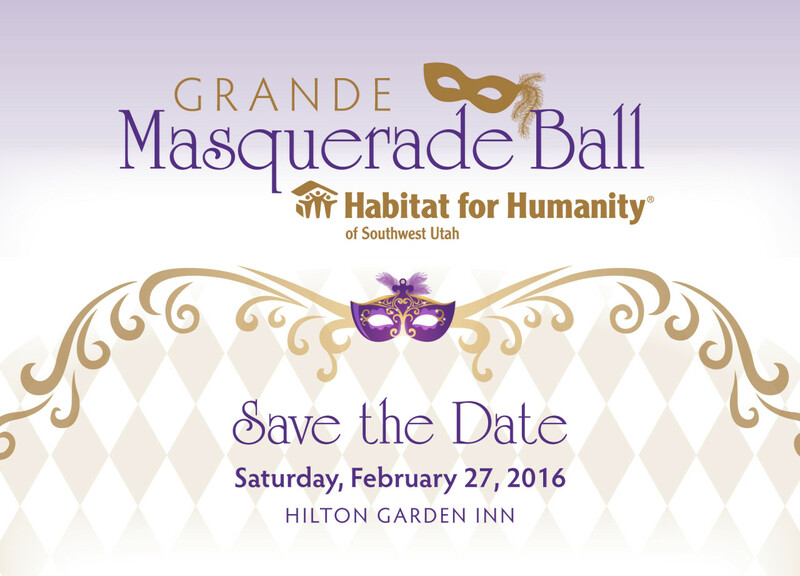 There will be dinner, dancing, entertainment, auctions, and a diamond dig to benefit Habitat for Humanity of Southwest Utah. This is an event you won’t want to miss! 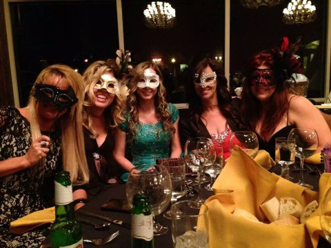 So find your masks and gowns and join us for the evening! Black Friday and Cyber Monday are two of the busiest shopping days of the year! This is a wonderful time to support Habitat for Humanity of Southwest Utah while doing your shopping! Use smile.amazon.com and Amazon will donate to your favorite charity, Habitat! 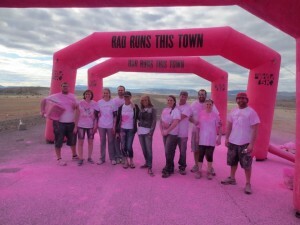 If you have not signed up with us yet, use http://smile.amazon.com/ch/84-1424693 to help support Habitat for Humanity of Southwest Utah! A BIG thank you to our volunteers and donors!!! We couldn’t do this without you and your generous donations and time with Habitat!!! 2015 has been an amazing year and it is because of individuals like you who have made a difference in the lives of Habitat’s families, staff and board members! Not enough words to express our sincere, deepest appreciation to you all!